Business description - Powerful Technologies is into production of LED TV, LED monitors and mobile power banks. The company’s first shipment for mobile adapter has recently been delivered to its distributors under “Powereye” brand. Initially, the company started selling its products under “Powereye” and “Lappy Master” brands and also used to make power banks for other brands. After getting approval from American brands Kodak and Polaroid in year 2016-17 to manufacturer mobile power banks and LED TVs respectively, the company scaled up its volumes over last one year from these brands. The company is authorized licensee for Polariod LED TVs and LED Monitors and Kodak Power banks in India. The company also trades in mobile power banks and LED TVs as and when demand is more than supply. Apart from a broad offline distribution network throughout the nation, the company also sells its products online. With the recent tie-up of the company with Appraio Retail Pvt. Ltd, a JV of Amazon Asia and Patni group as also with Flipkart India Pvt. Ltd, Powerful Technologies is taking steps to grow its business in this area. 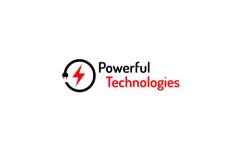 Powerful Technologies IPO allotment status is now available on Bigshare Services' website. Click on this link to get allotment status.